'Maia' [Official Site, Steam] is an Early Access colony building sim that has always shown promise, but the problem is that it has been quite buggy. This new release has polished the game up quite a bit. The AI certainly feels a lot more polished, there's far less wandering around when you have set down some build orders, something that plagued earlier builds. It still happens, but far less often. The tutorial is a vast improvement over what it once was, it now actually guides you through the basic setup steps to get things rolling. I finally feel like I am beginning to understand the game and it's really nice. Graphically I love the game, but i would like to see more graphical options for the game as right now there's only resolution, textures and AA. The little details in the animations are great. Say you have low temperature, you will end up seeing your colonist breath like you would on a cold day. You also see heat rising from equipment being used, glow-sticks actually glow and look fantastic and it's just very visually pleasing. I still think the game suffers a lack of "fluff content", games like this need more to build than what Maia currently offers. 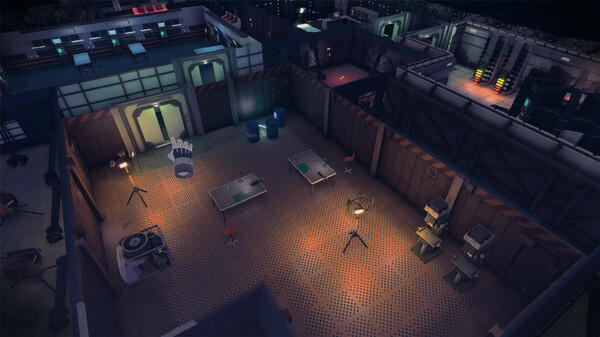 A game about building a colony needs more to build than a few rooms and objects. Maia still has a problem with a big lack of explanation for items, objects and near enough everything. I followed the tutorial, but I was constantly confused on exactly what tools made what objects and so on. Telling a colonist to make "Building Materials" is a little weird. They build them, then they bend over as if to pick them up and then the material box vanishes. It's not clear if they magically got used for something, or if that colonist is supposed to then be taking it somewhere. I have no clue, as it doesn't say they are carrying anything. It also most definitely needs more levels of zoom-out, I can never get a clear picture of my base due to not being able to zoom out very far. The game does still have a bunch of issues though. - Room tiles sometimes cannot be removed, leaving green squares on the ground. - The tutorial seemed to get stuck at one point even though I did what it asked, it eventually progressed but it was very slow to realize I had done it. - I seem to be locked to 30FPS on a 980ti. My colonists eventually died of starvation due to no one wanting to build the door to the hydroponics room, shame, but their own fault as I had no idea why they didn't want to build it. Overall, it shows brilliant progress, but it's just not ready for prime-time yet. Has a lot of polishing to do in the details to help people understand just what is going on. You can find the update notes here. "wondering around" - I think you must mean wandering? Beamboom "wondering around" - I think you must mean wandering? The link at the bottom appears to be garbled too.